Peace Pals International – FIRST Place Winner – Bulgaria. 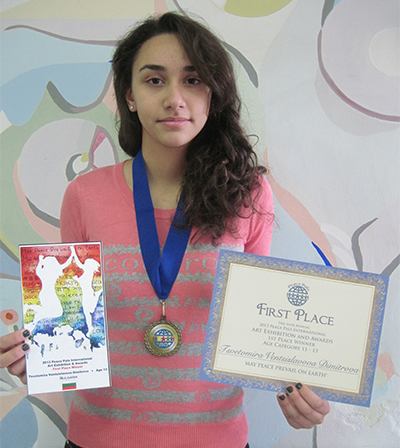 Congratulations to Tsvetomira Vencislavova Dimitrova, age 13 of Bulgaria who came in FIRST place for her age category. Tsvetomira has won a 6 foot Peace Pole for her beautiful art work. To see all of our Winners and Finalist for 2013 – Please click here.